Patent Engineering | IRD Corp.
Patent Engineering is the standardization activity and performance to standard an atypical activity or a know-how for insufficient communication to a third person in a patent life cycle which is an advanced intellectual activity. Specifically, it is regarded as a set of multiple phases of the process from the idea of the invention to the extinction of the patent right, and is standardized activities in each phase. Thus, it intends to maintain a certain level of quality in each process activity. We try to spread the use of Patent Engineering among the public with suggesting Patent Engineering in many different ways such as seminars, lectures and presentations for externals. In terms of Patent Engineering, we carry out development and conduct sales regarding Patent Engineering softwares to make Intellectual property rights relating activity more efficient and high-quality. More information of Patent Engineering is described the book "Patent Engineering Introduction". 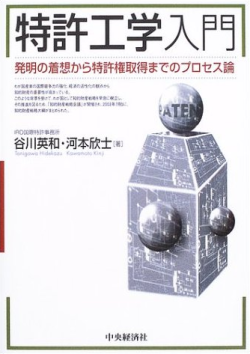 The book "Patent Engineering Introduction"(only Japanese) is available for purchase on the Amazon website.